The mighty United States will most likely take top spot once again in the medals table in the 2016 Summer Olympic Games. But a prediction based on population, GDP, the cost of Nikes and past willingness to dope suggests host nation Brazil could break into the top five. Like Team GB in 2012, that will require capitalising on home advantage. The national flags of Russia, China and Japan will be the others most frequently raised alongside the star-spangled banner as medals from the modern era’s 31st Olympiad are awarded, according to Breakingviews’ new Olymponomics calculator. It stands to reason that successful Olympic nations have large populations. That ensures deep pools of raw talent across a wide range of events. Countries with big economies, meanwhile, have the financial resources to equip and train athletes. The cash clout per head may also be relevant, but places like the United States, China, and Russia which have large resources overall can direct the biggest sums to train teams of elite sportsmen and women. National statistics only capture part of the story. Sports participation is critical. The cost of a pair of Nike running shoes is a workable proxy. The rationale is that the cheaper the shoes, the lower the barrier to entry and the greater the likelihood of eventual Olympic success. Performance can also be enhanced through the illicit use of drugs. Athletes are subjected to stringent anti-doping measures. Cheats, however, may get an outsized share of the spoils if they aren’t detected. The Olymponomics calculation uses recent test results from the International Association of Athletics Federations to identify countries that have been more willing to bend and break the rules, and assumes their representatives may be the most likely to succumb to temptation again. The analysis includes the 20 countries that have been most successful in the last two Olympiads. That excludes some like India, for instance, whose large population and poor record on doping might otherwise have earned it a place nearer the top of the forecast medals table. The idea is that a nation’s overall athletic prowess takes time to develop, making past performance relevant as well. Brazil finished way down the medals table in London four years ago and in Beijing in 2008. In 2016, the home team’s green and gold flag may fly a good deal higher. 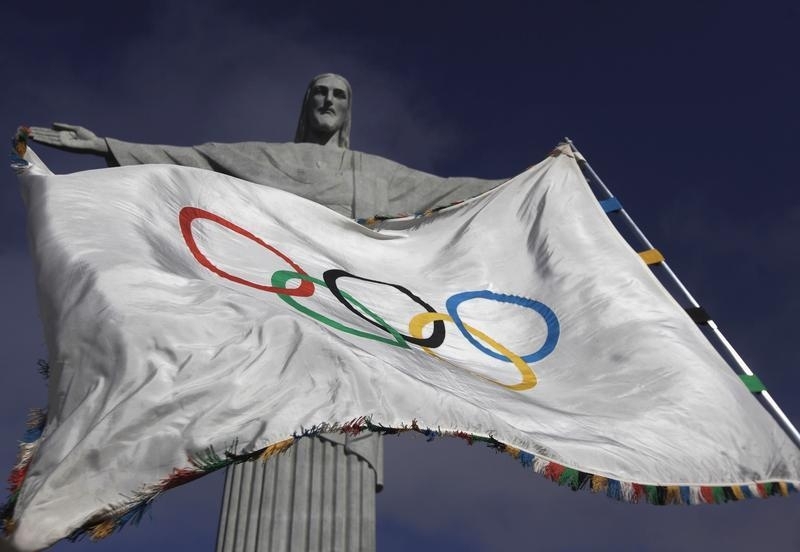 The 31st Summer Olympic Games will be held in Rio de Janeiro, Brazil, in 2016. The opening ceremony is due to be held on Aug. 5.